The The Brew Brothers is a restaurant inside Eldorado Hotel Casino in Reno, Nevada. Went to the buffet. I've been many times, and it's a good buffet. Good selection, good food, and worth the 17$. However they've increased the price to 23$. I would say with the new price increase it moves out of the "good deal for the money" to overpriced. At this price you should just go to the Atlantis buffet for a dollar more and a better buffet. I'm sad it's come to this. It was good while it lasted I guess. We went to La Estrada restaurant. The food was outstanding and very good service. the wine was excellent and on the way out we hit the casino. I won 150 bucks outstanding. I would definitely recommend it to all my friends and relatives. We ate dinner inside of their Italian restaurant which is called lastrada. It is a little more than casual dining but you don't have to be in a tux. We love to eat there they have great service the bread is so good oh, and their meals are delicious. We have never had a bad experience here. One of my favorite plates is the rigatoni, and the kids love to get the seafood linguine. A little expensive if you're ordering drinks so we just stick to water usually, and have a drink at the bar after dinner. A jewel in the crown of casinos in the city of casinos... The cute Reno. Reasonable price of rooms, friendly staff, large number of machines... One can spend days. The location is in beautiful downtown, accessible easily from any part. Good connectivity to Reno-Tahoe Airport. It was a great location and the casino was alot of fun. The room was basic and mostly clean, with the exception of a gross pillow. The shower head was also incredibly low. I have never had to duck down before to wash my hair. All the staff through out our stay we're very helpful though. 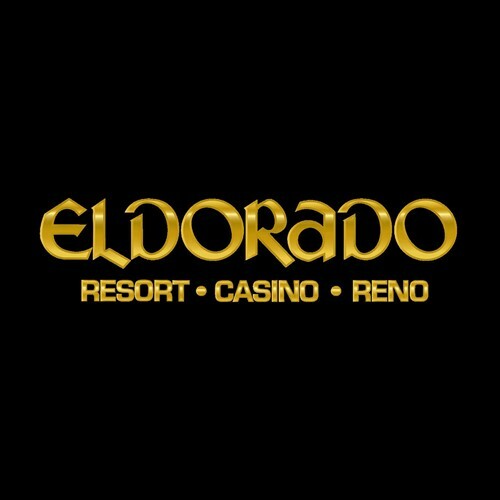 Eldorado is conveniently located in the heart of downtown and connected to Silver Legacy and Circus Circus. The buffet at Eldorado is very good and a decent value. The food is basic but tasty. The atmosphere is casual and the service is acceptable. Overall, I'd recommend trying it out if you're looking for a break from the casino. Parking structure was convenient even though it was full, and access to the casino was easy. The casino hallways a little too narrow, but signage was better than others in the area. Millie's was a great option for rush hour dinner. Great service by Martin, if we could catch him. Seems he had too many tables. The convenience store closest to Roxy's was staffed with two efficient ladies who kept the shop very organized and cashier lines flowing fast on a busy Sunday night before Memorial Day. They certainly knew how customer service should be done....but why are they nyo allowed to receive tips? If they did great service or were helpful, shouldn't patrons be allowed to give them gratuity? Isn't this a service industry? Hotel room is 5 star. Housekeeper's keeps it super clean. Buffet was not too good. Not to much choices. Deserts was very good. Server not to friendly. Came here for a car show they advertised. Wanted to buy a tee shirt. It's 2018. They selling the t-shirts that is old stock 2014-2016. Paid good money for my flights and very good money for the hotel to find that out.